Our modern way of life can give rise to numerous situations that cause stress and fatigue. Among these, professional commitments are often considered one of the main causes of weariness, as much at the mental as at the physical level. Thus, in developed countries, it is estimated that approximately one-third of the population will sooner or later experience the effects of stress or fatigue. Ashwagandha (Withania somnifera L.) is commonly known as Indian ginseng. This plant has been habitually used in India for centuries for its multiple benefits. Among these, the role of Ashwagandha in optimal relaxation and the maintenance of energy levels has been the subject of recent studies. Oxygen is essential for proper cell function. However, its use in energy production also leads to the generation of free radicals. These molecules are neutralised by antioxidants. Certain factors such as pollution, smoking, sunlight and stress can affect how this protection system works: this is what is known as oxidative stress. Pyramizym® is a patented enzyme complex extracted from a variety of melon (Cucumis melo L.) specially selected for its high antioxidant content. Pyramizym® is exclusive to Trenker Pharmaceutical Laboratories. It contains high doses of three enzymes: Superoxide Dismutase, Catalase and Glutathione Peroxidase. 2 capsules a day to be taken with a glass of water after a meal. 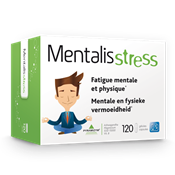 * Withania somnifera L. extract helps the body to resist stress and helps maintain physical and mental abilities in the event of fatigue. This product is available in pharmacies in this country. Kwalitis promotes good mental balance*.